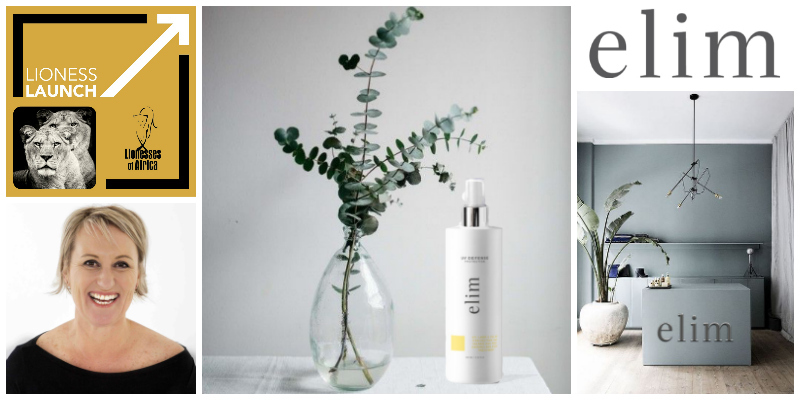 Customers who regularly use UV lights in salons will have a new product to help them protect the delicate skin on their hands during these sessions, thanks to a great new UV spritzer being launched by Elim Spa Products in South Africa. Founder Shantelle Booysen is not only creating greater awareness amongst women of the need to protect their skin when using UV lamps in salons, but is also now creating a specialist skincare solution with the launch of her new UV spritzer. Elim Spa Products have developed a unique medical Pedicure and Manicure range that focuses on restorative treatments, providing a full professional range and a retail basket which caters for clients with specific needs. The company is thrilled to be launching its new UV spritzer in May, a specialist product to spritz on the hands before placing them under UV lights in salons. Elim Spa Products is also launching a range of new Sauna Cosmetics and Oils in November. What makes Elim’s product and service offering different in the marketplace is that it offers clients a restorative pedicure and manicure. This means the treatment focus is not only on the spa experience and the pamper experience, but also includes a process to evaluate each client for specific needs and adjust hand and foot treatments to make sure the real need is addressed. If clients struggle with cracked heels or bacterial infections, this is what is focused on during the treatments. In terms of launch plans for the new UV Spritzer, the aim is to incorporate the new product awareness raising as the Elim Spa Products team travels to different countries, combining it with a press tour in Europe. The aim is to create awareness for women when they make use of UV lamps in salons, and for the Elim Spa Products new manicure and pedicure offering, and specifically, to become the Pedicure of Choice worldwide, a pedicure that guarantees results.